 Strains containing Beta-Pinene include: ACDC, Banana Kush, Durban Poison, and OG Kush. Pinene is responsible for the familiar smell associated with pine and fir trees, and to be more precise, its resin. It is the main ingredient of the essence of turpentine. It is present also in many plants such as Sage or Rosemary. Pinene is used in medicine as an expectorant, bronchodilator, anti inflammatory and local antiseptic. It also crosses the hemato encaphalic barrier very easily, where it acts as an inhibitor of acetylcolynesterasics, preventing the destruction of molecules responsible for the transmission of information, which results in memory improvement. It is largely due to the presence of pinenes that Rosemary and Sage have been considered to be beneficial plants during thousands of years of traditional medicine. This terpene can, in part, counteract the effects of THC, which leads to a decrease in the acetylcholine levels. The result is that the memory fails more with pure THC than with THC mixed with pinene. Skunk strains are, for example, recognised for their high levels of pinenes. Because this produces a bronco dilator effect, the smoke of plants rich in pinene give the sensation of sucking more air, which can cause hyperventilation or sometimes cough. 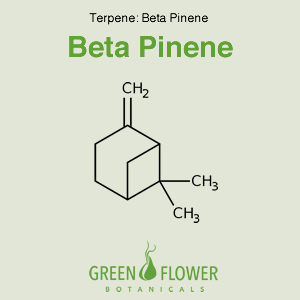 Pinene also improves concentration, personal satisfaction and energy, but it may be limited by the effects of the terpinol.